This year marks IML's 20th year anniversary of managing investors' funds in line with our value and quality philosophy. To mark this occasion the IML investment team have compiled 20 'lessons' from our 20 years of quality and value investing at IML. In the first part of Lesson 20 we outlined reasons to be optimistic about the long-term prospects of the Australian economy. We also flagged some challenges to the outlook going forward. In Part 2 of this final lesson Anton, Daniel and Michael discuss how they are currently positioning IML portfolios and the types of companies in which they are investing. 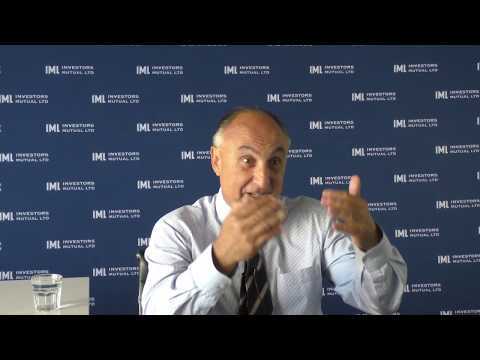 In part 1 of our final lesson, Anton Tagliaferro discusses the economic conditions that have driven the Australian sharemarket over the last 20 years and provides IML's view of the drivers and the challenges that the future holds for investors in Australian shares. In an industry which is very focused on performance, an investor who has read any fund manager reports will often see references to the ‘benchmark’ and how a certain Fund has performed versus its relevant benchmark. This lesson discusses benchmarks and indices in the context of what most investors really want their portfolios to deliver. #18 When is the best time to invest in the sharemarket and what is the best strategy for the cautious investor? At IML, over our 20-year journey, we have invested through several market cycles and we are often asked the question by investors as to when the best time to invest in the sharemarket is? Anton Tagliaferro, Portfolio Manager Michael O'Neill and IML's Chief Operating Officer Zac Azzi, discuss the highly topical issue of corporate governance and outline why it is important for shareholders to have their voices heard if they are not happy with certain aspects of a company’s performance or direction. We also describe the ways IML assesses how appropriately a company will look after shareholders’ interests and provide examples of some of the issues we have addressed with companies over the past 20 years as we sought to protect or enhance long term shareholder value. While investing in the Resources sector can be rewarding over the long term if one picks the right companies, the sector as a whole tends to be very volatile. In this lesson Anton Tagliaferro, with Head of Institutional Ben van den Tol, explains the risks inherent with the Resource sector and what IML believes are the most important factors when picking investing stocks in the sector. Most people are familiar with the concept of compound interest when it comes to term deposits where one can earn interest on interest by continuing to roll over a term deposit several times. However, many investors do not relate the concept of compounding to their investments in the sharemarket. Using examples such as Woolworths, Brambles and Sonic Healthcare, this lesson explains the how the 'magic of compounding' works for equity investors. There are several methods that can be used by investors to assess the attractiveness a company’s share price. The most common methodology is the price earnings ratio – known as the PE ratio. In this lesson we discuss the reasons why the simplistic view of looking at stocks trading at the lowest price earnings ratios (PE) is not always the best approach for determining good value. Many Australian investors have long been able to sleep comfortably at night owning large holdings in “blue-chip” Australian bank stocks which have delivered high fully franked dividends and share price appreciation over many years. However the ASX300 Index, along with many investors' portfolios, has become heavily concentrated in the big 4 Australian banks. This lesson from Portfolio Manager Michael O'Neill seeks to explain the risks investors should be aware of when owning shares in Australia’s big 4 banks. In this lesson Portfolio Managers Anton and Daniel Moore compare the long-term outcomes for investors in companies with predictable, recurring earnings with those investing in companies operating in more cyclical sectors of the economy. Anton Tagliaferro outlines why it pays to challenge commonly held perceptions and why investors should be cautious not to blindly follow the crowd. In this lesson Portfolio Managers Anton Tagliaferro and Marc Whittaker Daniel Moore discuss why the quality of a company’s management team is one of the important attributes that IML has always investigated whenever we invest in a company. They look at how IML goes about assessing a company’s management team and what factors they look at when making a judgement as to whether the management team will prove to be capable and honest? 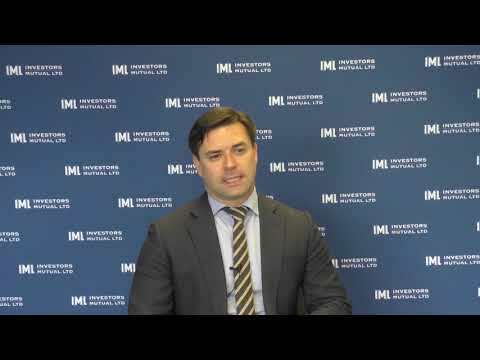 In a short video, Portfolio Manager Marc Whittaker also discusses some great management teams in the IML Small and Mid Cap portfolios. In this lesson Investment Director Anton Tagliaferro, Portfolio Manager Daniel Moore and Equities Analyst Bruce Du discuss how a strong competitive advantage allows some businesses to outperform others over the longer term. In the last 20 years we have witnessed an explosion in the amount of information that is available thanks to the advent of the internet and pay TV. In relation to the stockmarket, this means that investors are bombarded with a variety of headlines, broker reports and investment newsletters 24 hours a day. Does this proliferation of information make it easier to invest in the sharemarket? This week’s lesson may seem a simple one, however it is amazing how often people confuse the concepts of ‘speculating’ and ‘investing’ and use the words interchangeably. It’s a lesson many investors have learnt the hard way. There’s an interesting peculiarity when it comes to how investors in the sharemarket behave compared to how they behave in everyday life - when prices of shares are going down, people want to sell and when share prices are going up everyone wants to be a buyer.